Happy Monday! Tomorrow's the day that some of you may wait for all year and others of you may dread... while I'm not super into Halloween myself, it can be fun to dress up sometimes! However, I don't have any interest in spending money on an actual costume and have very little time to put something together, so today I'm bringing you five amazing, quick, and cheap ideas you can totally pull off before tomorrow night! 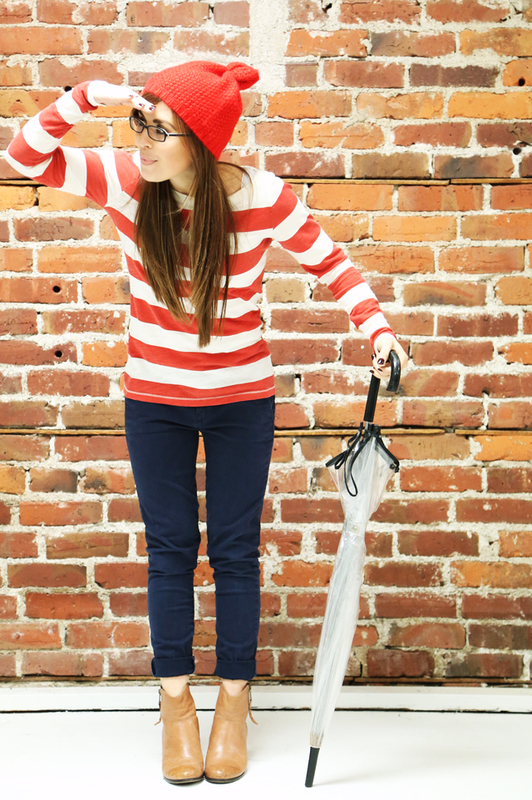 This is probably the easiest outfit here, as you probably already have everything you need in your closet: a striped shirt, jeans, a beanie and glasses. Super quick but very clever and cute. 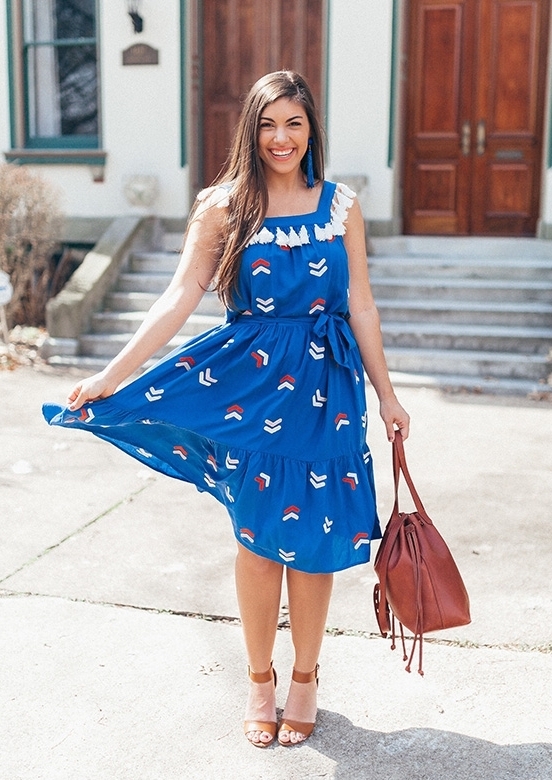 Throw a camera around your neck and you'll really nail this look! The deer has become a staple costume the last few years, and for good reason... it's cute, modest, and simple to create. Just grab some brown/neutral colored leggings and top, throw on a furry vest and some antlers. Lauren Conrad has a great DIY for some antlers here along with some other cute animal costume ideas. This can make a great couples costume, too! Have your guy where some camo and voila - you have a hunter! Another classic in recent years and another amazingly easy and clever idea. Keep it simple and all you need are pipe cleaners and a green sweatshirt or t-shirt (+ hot glue gun for assembly). Cut and glue pipe cleaners onto your green and that's it. I found a great tutorial here. Add a couple of flowers or a DIY headband for a little more detail and you're ready to hit your Halloween party in no time! Calling all 90's kids!! This costume is perfect for a last minute DIY! I know for a fact that you can find animal onesies at Walmart this very second... I saw them last night! Then you can use this cute mama's printable freebie for a tag and boom! You're done! How cute would this be for a group of friends or even a family to do together? Again, this look will probably take zero effort, as you most likely already have a flannel shirt, jeans and boots in your closet! 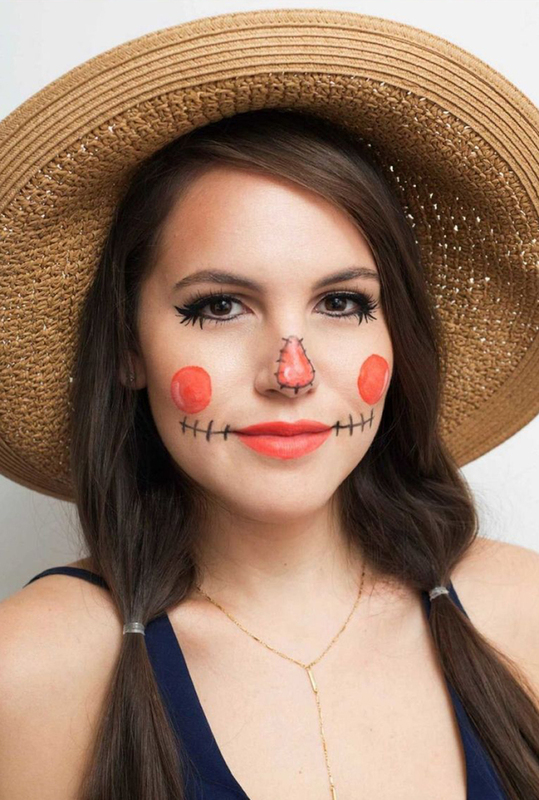 Grab a straw hat and use this great makeup tutorial (#10 on the list) to complete this super easy and cute costume. All of these ideas came from your favorite place and mine, Pinterest! And hey, if we're not already connected on Pinterest, let's change that! I'm sharing ideas like these and many, many more each and every day! Now I have to know... who is dressing up and what are you going as!? I've got a little last minute costume myself so stayed tuned tomorrow and make sure you're following me on Instagram... I'll be lurking hard dying over everyone's costumes (specifically dogs and babies) myself!!! ;) Can't wait.